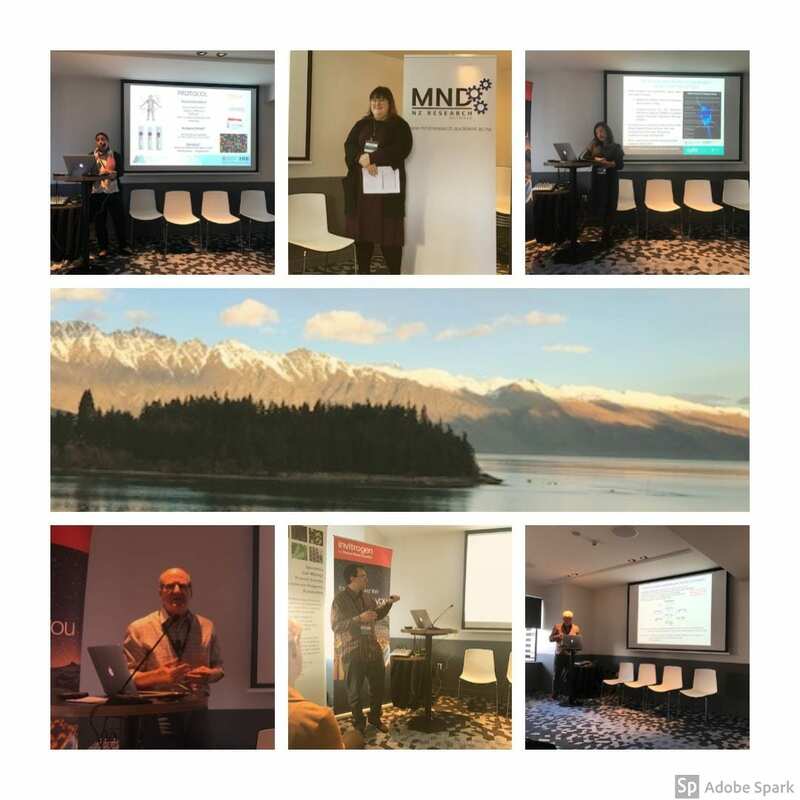 Researchers of MND and other rare genetic diseases of the brain gathered at Rydges Hotel in Queenstown, New Zealand on the 30-31 August 2018 as part of Queenstown Research Week to discuss and share research, resources, funding and the glorious weather Queenstown turned on for us. Initiated by the NZ MND Research Network and jointly co-ordinated by AWCBR and QMB there were 29 speakers over two days. Click here for the final programme. We were fortunate to have high level oversight of the direction of genetic brain disease research, and innovative research presentations spanning the molecular to the clinical. PHARMAC also came and spoke about their policy surrounding access to treatments for rare diseases. The group dinner at the Blue Kanu was well enjoyed with many contacts made, and development of a real sense of what is happening in the realm of rare (and not so rare!) genetic brain diseases. With regards to MND research, there were key connections made with our Australian collaborators. The SALSA platform, which arose from the amazing success of the Ice Bucket Challenge (click here for more details), in particular presents an innovative platform for working together to characterise and advocate for patients. NZORD sponsored a best talk and best poster prize. The winners were: Marie Viola, a Masters student from the National Institute of Molecular Biology, University of Philippines for best poster and Nadia Mitchell from the Faculty of Agriculture and Life Science at Lincoln University for best talk. Congratulations! We hope those of you who were able to attend the 2 day symposium enjoyed yourself as much as we did. Thank you so much to our speakers. Below is a little montage of the event.